Download the "Health at Hajj & Umrah"
• Taking the necessary vaccinations, especially the elderly and those suffering from chronic diseases. Herein is an elaborate account of the required vaccinations, to be enumerated later on, as well as the timing of taking such vaccinations prior to setting out for the Hajj Holy Sites. • In case you’re a tuberculosis patient, you have to undergo all the necessary medical tests and submit the results that prove infection could not be transmitted from you to other pilgrims. Pilgrimage is not recommended until after you complete treatment, and get recovered. In case you’re suffering from persistent cough for more than two weeks, you have to undergo the necessary before travelling to be sure that you don’t have tuberculosis. Means of transport (planes, buses, etc.) are among the most vulnerable places of infection transmission (through coughing, sneezing, speaking, etc.). So be sure to use handkerchiefs when coughing or sneezing, or even face-masks when need be. 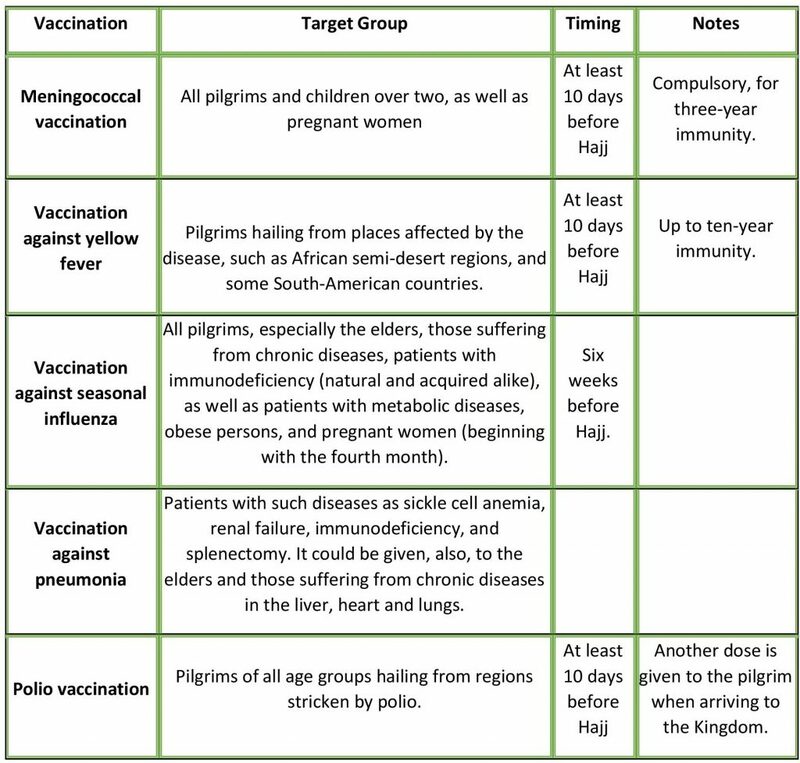 It is of high importance to take vaccinations (according to the table shown below) long enough before Hajj. It is indispensably necessary for protecting yourself as well as fellow pilgrims. Some of these vaccinations are compulsory and some are optional. And in all cases, you should consult a doctor before taking the vaccination. Be sure to carry about the card that proved that you have taken the necessary vaccinations when arriving at the Saudi ports (land, sea and air ports). 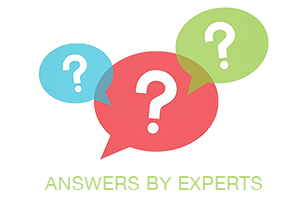 Negligence of vaccinations, or obtaining certificates of fake vaccination are not to be tolerated. All such attempts are punishable by law. • Head for the nearest health center if diarrhea persists. You must have noticed during the Hajj period the importance of physical fitness and keeping up to the ideal weight, so make the Hajj journey a motive to advance the general health and physical fitness.